Need some writing ideas for this coming month? 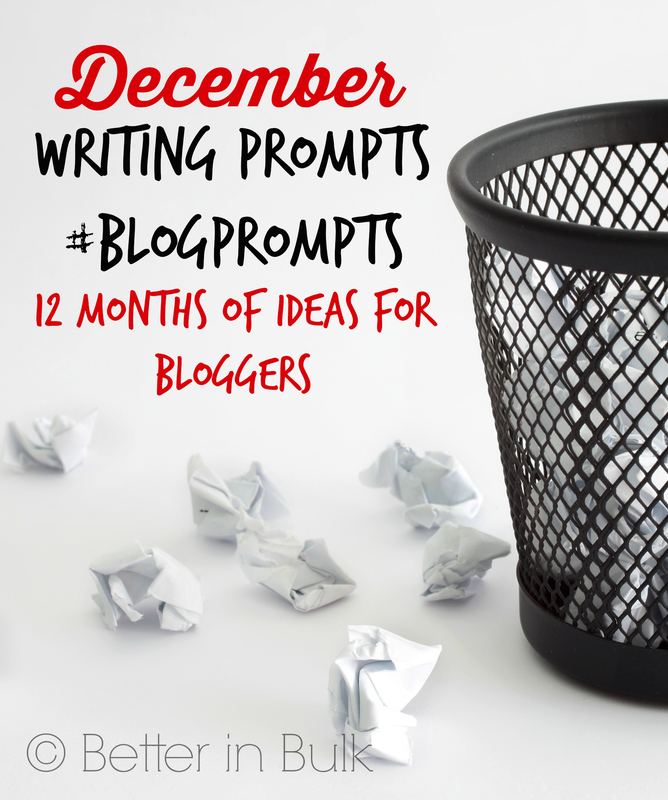 Here is a list of blog prompts for the month of December! I’m not ready to say goodbye to 2015, but the last few months of the year have flown by, and I’m sure that the rest of this month will be the same. Lately, my challenge with blogging has not been what to blog about, but where to find the time to write all of the posts that I wish I could write. I’m honestly full of ideas but don’t always have time to make the things that I want to make or write about them when I’ve made them. December is one of my favorite times of the year for reflective blog posts and round ups of favorite things. What ideas do you have for your blog this month? What are some of your favorite traditions during the holiday season? What are your favorite flavors of the holidays? What were some of the best things that happened during this past year? Do you love holiday shopping or dread it? Share some shopping survival tips. What December movies are you most excited about, or which movies have you seen? Share your thoughts, reviews, or movie-themed activities. What would you like to change about the coming year? What will you do differently in 2016? Is there a person that made a big difference in your life this year? Write a letter to them to let them know about the impact they had. When you’re stressed, what are a few things that help get you back on track and feeling less stressed? Share your tips (because I guarantee you’re not alone!). Where would you love to travel in the next 12 months if time and money were not an issue? Set a timer and write whatever is on your mind – for 5, 10, or 15 minutes. Who do you look up to? Why? What is something you’ve always wanted to do but never have? What do you like to do after the kids have gone to sleep? Do you relax, get to work, or go to sleep, too? Need more writing ideas? Check out the last 24 months of blog prompts!